I live in a mud hut in sub-Saharan Africa with no electricity or running water. So how do I blog from my site? With a smartphone, solar panels, and thumbs destined for Carpal Tunnel Syndrome, that’s how. The first and biggest obstacle to blogging in Zambia is finding electricity. The vast majority of Peace Corps Zambia volunteers live in rural areas with little or no power infrastructure and I’m no exception, so to circumvent this problem I have a Joos Orange portable solar panel and two Greenlight Planet SunKing Pro solar lamps. The solar panels for the lamps are tied to the top of my hut and the cords are threaded through the thatched grass roof, powering the lights which serve double duty as phone chargers. A full day of sunlight yields enough electricity to charge my phone, headlamp, and Kindle ebook reader while also supplying me with light throughout the evening. My Samsung Galaxy S phone is “smart” because it can access the internet and run programs. So can your 6-year-old nephew. But little Forrest probably can’t replicate all of the tools needed to read, write, edit, and publish a blog post in a package smaller than a bar of chocolate. Using the WordPress app for Android, I can manage posts, edit drafts, and respond to comments. I type using the phone’s touchscreen keyboard and save notes for potential blog posts as drafts for ease of later access whenever an idea strikes, whether this be standing at the edge of a fish farmer’s pond or wading through a crowded market. At present, I have 42 draft posts in various stages of completion, including a handful that are ready to publish and which I keep on contingency in case I run low on ideas one week. Once I finish writing a post, the next step is to add pictures. Most of the photographs I post on my blog are taken with the camera on my phone, but about once a month I travel to the Peace Corps provincial house 215 kilometers south of my site where I am able to retrieve pictures I’ve taken with my Sony NEX-5N camera by transferring them to my laptop. Last but not least is publishing the blog post. I purchase a monthly 3G data plan for my phone through a local Zambian cellular service provider which allows me to access internet at my site. It works about 75% of the time, so I write and edit my posts offline and then publish them when I manage to catch the network at a good hour. There is intermittent wifi at the provincial house, but if it’s not working when I visit – not an unlikely scenario, as it was on the fritz for six months earlier this year – then I use Bluetooth to transfer pictures from my laptop back to my phone. Daily life in the Peace Corps often requires foregoing many of the modern amenities and technology that we take for granted in America. However, this volunteer is happy to use any tools available in order to help promote Peace Corps’ third goal. 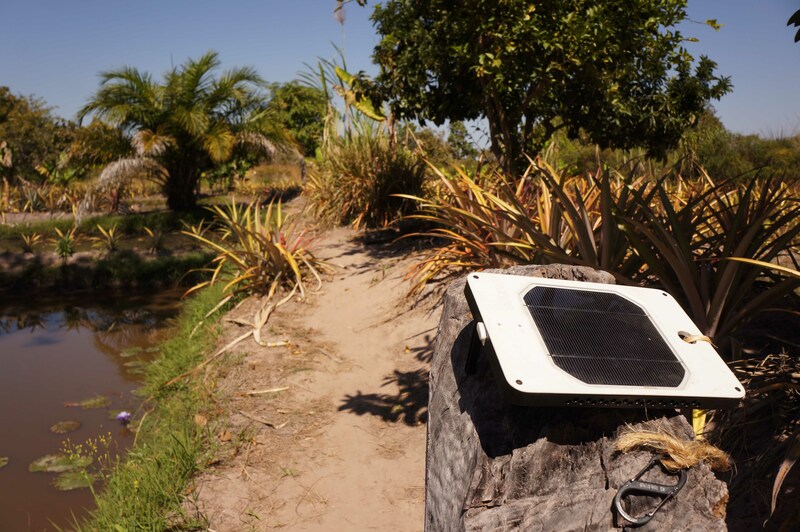 I saw on another PCV’s blog that PC provided her with a solar… Something. I think it was a lamp. Did they provide you with anything? Also, do you save these posts until you go into town and get internet, or do you have internet on your phone? Starting with the intake before mine, every PC Zambia volunteer has received a solar lamp during training. It works great and you can also charge your phone off it, but the panel is small and so unless you’re expecting/prepared to have only a small non-smart phone as your only electronic device at site, bringing another portable solar charger with you to charge things like Ipods, Kindles, headlamps, and smartphones is almost a necessity (especially during rainy season when you can’t be guaranteed a full charge on your solar panel(s) each day). For me personally, since I have several small solar panels (I have a Voltaic charger and also purchased additional solar lamps — they’re darn useful and inexpensive here, the equivalent of about $25-30 each), I’m able to use my smartphone at site and write and post blog posts using a data plan on my phone. However, I know some other volunteers who whether because of lack of reliable service at their site or lack of appropriate/powerful enough tech devices choose instead to post all of their blog posts monthly once they get into town. I’ll be heading to Zambia in about six months and currently have an iPhone. Do iPhones work pretty well for blogging and staying in contact, or would you suggest a Samsung Galaxy? Hi Bridget! Congratulations on your invite and impending Peace Corps service. Several of my friends used their Iphones and really liked them for overall use. 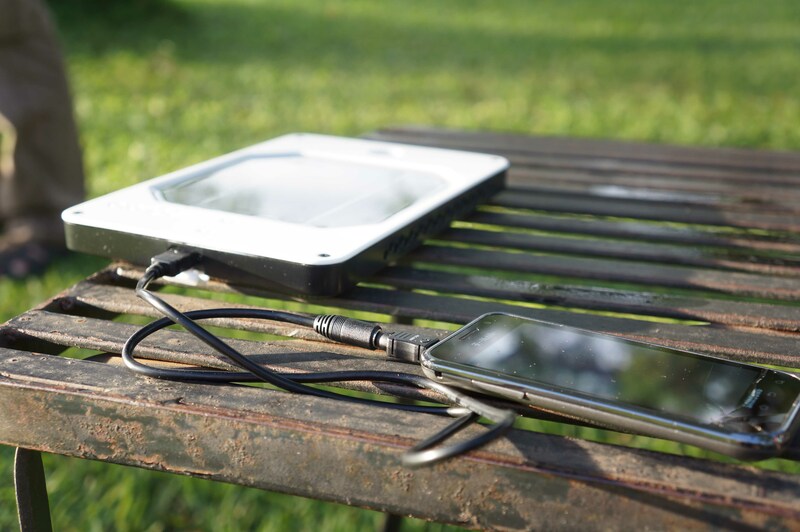 Just make sure that it’s unlocked, and that you bring and/or buy a solar charger setup to keep it charged!